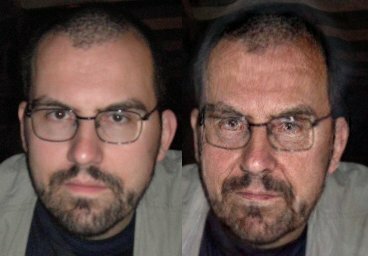 The image on the right was created without any user input, fully automatically, just by selecting "make older"! This is another example of complex science being used to create juvenile fun. I saw this half an year ago, but it wasn't very good at making changes at that time... Weridly skewed faces etc. I am missing the 50%-monkey-fuxoft transformation here.